Brisbane Veterinary Specialist Centre (BVSC + The Animal Hospital) recently helped a much-loved female Boer goat named Goatie overcome an oral cancer. Goatie was flown from her rainforest home near Cairns, Qld, to Brisbane in the hope of removing a fast-growing oral cancer (squamous cell carcinoma) affecting the upper front of her mouth. 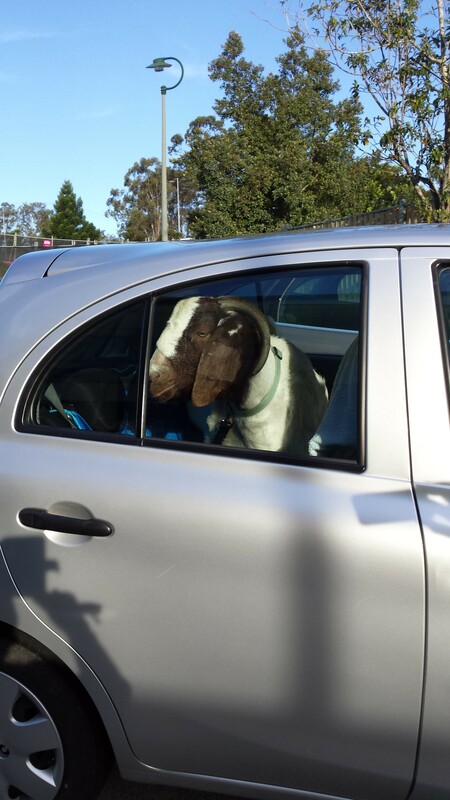 Owner Naomi Brigham was determined to do ‘anything’ to ensure Goatie’s health – including booking her pet on a $2500 one-way flight. Once Goatie arrived, the staff at BVSC + The Animal Hospital ran a CT scan that showed exactly where the tumour was. A chest and neck CT showed there was no evidence that the cancer had spread. Being such a delicate operation, all care was taken to provide Goatie with all the pain relief possible using nerve blocks, opioid drugs, anti-inflammatory drugs and pain patches. Rod Straw, oncology specialist at the Centre, carried out a successful two-hour procedure, the first of its kind on a goat. The tumour was removed in its entirety. Reconstruction was also successful, and Goatie began eating just hours after surgery – a relief, as she had to be fasted for 24 hours before anaesthesia. With no complications, Goatie headed back to the rainforest, cancer-free.